Get your adventure started on the right foot by learning a thing or two about Morton before you jet off. You'll find this Peoria neighborhood 8 miles (13 kilometers) southeast of the center of the city. Forget about the big attractions — it's the locals that make a place tick. Here in Peoria, you'll discover 120,000 of them. Get a great bargain on your adventure to Morton by bundling your accommodation and airfare bookings. You can also pick from more than 400 airline companies and 665,000 properties. From accommodations and flights to activities and rental cars, you've got the added comfort of 24/7 personal assistance with our Customer 1st Guarantee. Have you stumbled upon an even better bargain? We'll meet the price and give you back the difference^. Alterations to reservations never incur any hidden charges from us. And so long as you get in quick, many accommodations don't charge fees either^. Who doesn't want to be in the heart of the action? Look up our 6 properties within strolling distance of central Morton and start planning your must-see list for this lovely neighborhood. Check out the Holiday Inn Express & Suites Morton - Peoria Area (140 Ashland St) and the Park Inn by Radisson Morton (201 E Ashland Street). Our top Morton recommendations, they promise a good night's sleep in a convenient location. Where do you fly into for Morton? Put your seat in the upright position and get ready to hit the tarmac at Greater Peoria Regional Airport (PIA). This is the closest terminal and it's about 12 miles (19 kilometers) to the west from the center of Morton. Pick up your bags and start exploring! Can I rent a car in Morton? While the popular tourist areas in Morton are great to see, why not make it even better and explore some cool new sights with a rental car via Travelocity? Arriving by air? Enterprise at Greater Peoria Regional Airport is the place to rent from after you escape baggage claim. Enterprise is located in the city center at 1058 W Jefferson St. If you're staying nearby, this is the place to go. Nothing compares to getting out into nature, and the Peoria region offers some wonderful outdoor adventures to throw yourself into. How about some mountain biking? If you're really looking to create some unforgettable vacation memories, put rock climbing on your agenda too. Visit Groveland. You'll find it just 5 miles (8 kilometers) away. 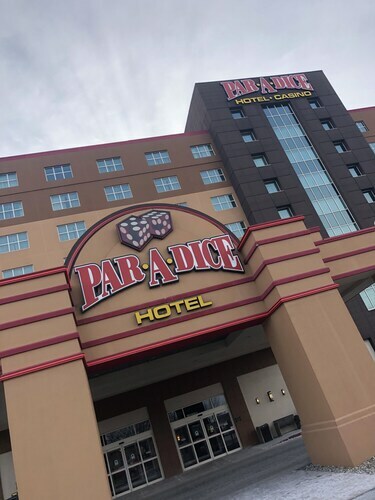 Situated in Morton, this hotel is within 12 mi (20 km) of Illinois Central College, Peoria Civic Center, and Peoria City Hall. Peoria U.S. Courthouse and Contemporary Art Center of Peoria are also within 12 mi (20 km). Situated in the suburbs, this hotel is within 12 mi (20 km) of Illinois Central College, Peoria Civic Center, and Peoria City Hall. Peoria U.S. Courthouse and Contemporary Art Center of Peoria are also within 12 mi (20 km). 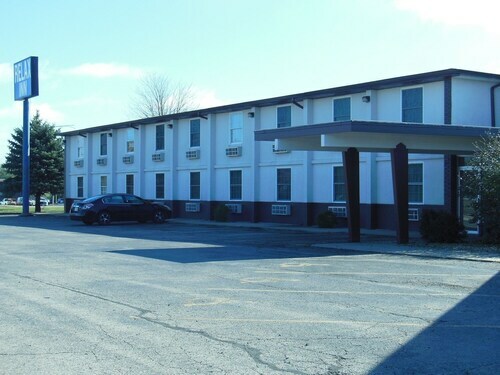 Situated in a rural location, this hotel is within 12 mi (20 km) of Illinois Central College, Peoria Civic Center, and Peoria City Hall. Peoria U.S. Courthouse and Contemporary Art Center of Peoria are also within 12 mi (20 km). 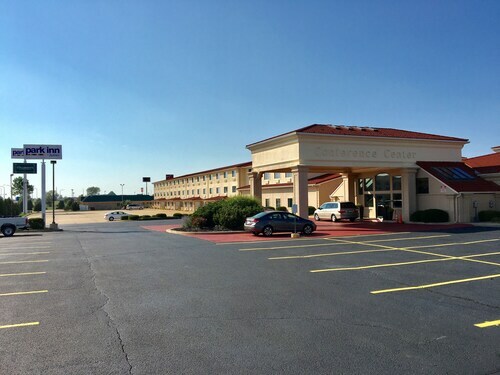 Situated in Morton, this hotel is within 12 mi (20 km) of Illinois Central College, Caterpillar Visitors Center, and Peoria Civic Center. Peoria Riverfront Museum and Spirit of Peoria are also within 12 mi (20 km). 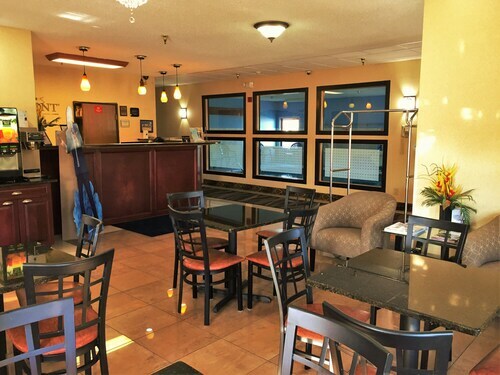 Located in the heart of Morton, this hotel is within 12 mi (20 km) of Illinois Central College, Peoria Civic Center, and Peoria City Hall. Peoria U.S. Courthouse and Contemporary Art Center of Peoria are also within 12 mi (20 km). 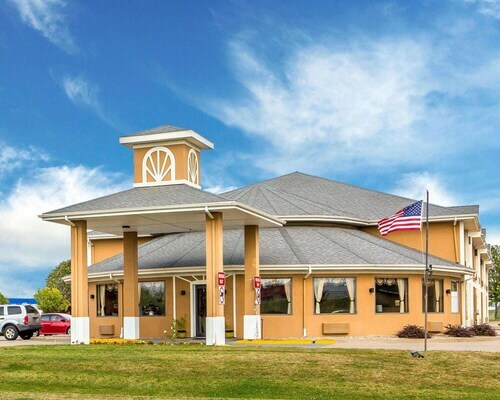 Situated in Morton, this hotel is within 12 mi (20 km) of Lick Creek Golf Course, Peoria Civic Center, and Illinois Central College. Peoria City Hall and Peoria U.S. Courthouse are also within 12 mi (20 km). 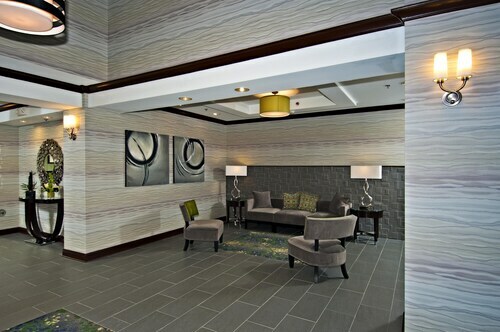 Situated in East Peoria, this hotel is within 3 mi (5 km) of Illinois Central College, Contemporary Art Center of Peoria, and Peoria Riverfront Museum. Peoria Civic Center and Peoria City Hall are also within 6 mi (10 km).